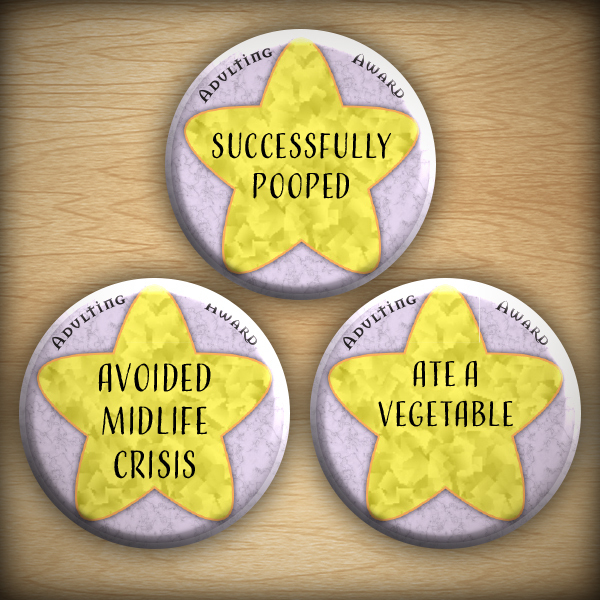 1.25″ Adulting award | Buttons, Magnets, & Keychains – Geek Girl Stuff – Geekery, art, jewelry, and more! These are adulting achievement awards because sometimes, adulting is difficult. These can also serve as awards for a variety of mental and physical illnesses. Choose which one you would like, and choose if you would like it as a button, magnet, or keychain.